A leading handicap shower stall provider, Aging Safely Baths announces no cost shipping for their wheelchair accessible shower line. These specialty ADA showers come with padded seats, safety grab bars and a hand held shower wand. No cost shipping on handicap accessible showers to the continental U.S. Roll in shower supplier, Aging Safely Baths announces no cost shipping on wheelchair access shower systems. Customers who live in the continental United States will enjoy shipping without any fees to their home or business location. The company offers several ADA shower models and customers can have their roll in shower customized precisely to their needs. There are numerous possible configurations available. These specialty showers come with features like safety grab bars, temperature control devices, textured flooring and fold down padded seats with legs. Shoppers can also order universal parts for handicap showers from the convenience of home or work. Specialty parts such as water stoppers, vinyl shower curtains, shower seats or drain kits can be purchased individually. Furthermore, Aging Safely offers next day shipping on several of their products which can potentially make time sensitive projects easier to manage. 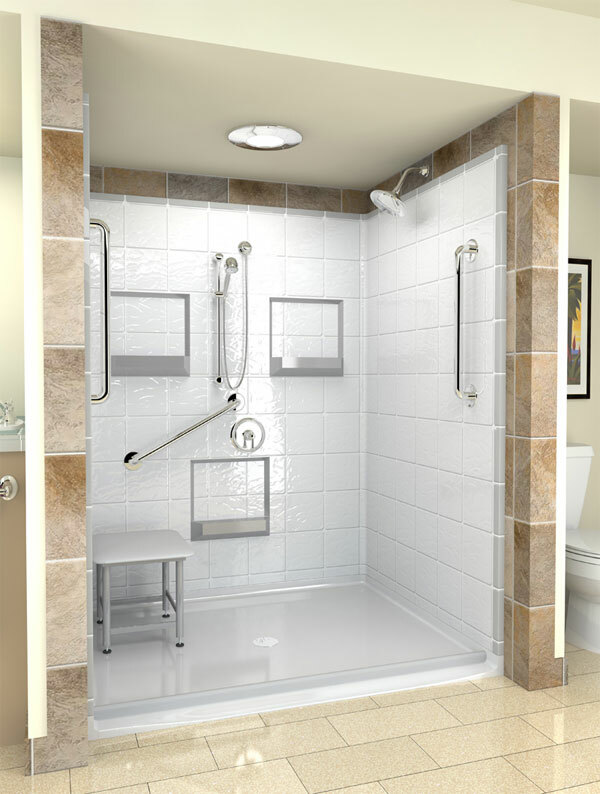 Handicap accessible showers can be installed into residential or commercial locations. It is increasingly common for the elderly to seek out options on aging in place. 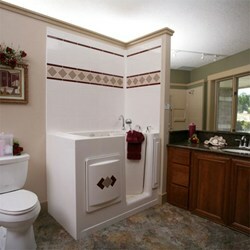 The bathroom is one of the most important rooms to update when implementing fall prevention ideas. It’s very popular to install safety grab bars by the toilet, the sink, the entry and the bathtub. 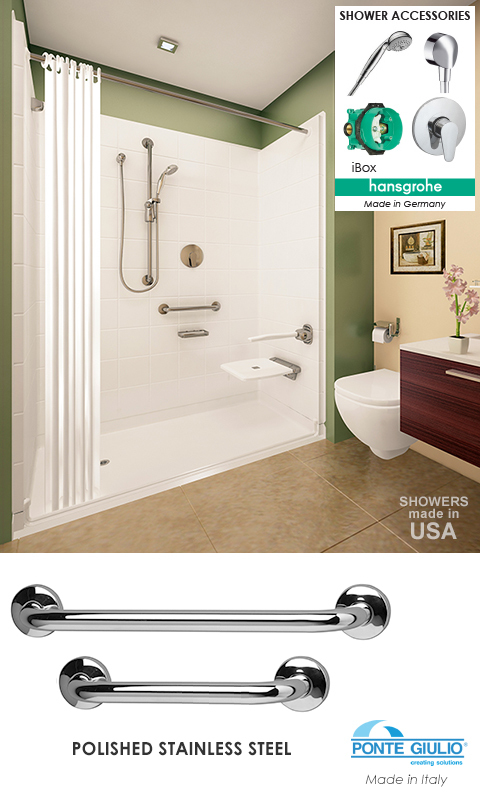 The showers offered by Aging Safely can have the grab bars installed directly onto the shower enclosure itself. For bathers that would prefer to soak in a warm bathe, Aging Safely also offers hydrotherapy walk in bathtubs. These premium elderly tubs are guaranteed with industry leading warranties. The low step in feature potentially makes it easier for bathers to enter the bathtub. Similarly to the ADA showers, the walk in tubs also come with a built in seat. Furthermore several of the step in tubs and wheelchair accessible shower systems offered by Aging Safely are quality tested by third party organizations. Having the assurance of a quality product is essential when dealing with these types of appliances. According to the company, nursing homes, retirement communities, assisted living facilities, rehabilitative organizations, physical therapy offices, builders, contractors and hospitals can qualify for commercial prices.